How Do I Study for the Family Med Shelf? 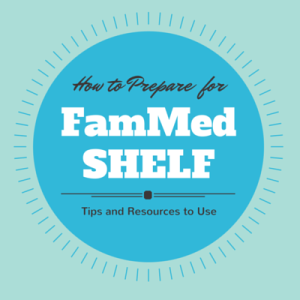 If, like myself, you’re scheduled to do your Family Medicine rotation early in the year, preparing for the COMAT (the DO version of shelf exams) can be daunting. You have to learn a little bit of everything: pediatrics, internal med, OB and geriatrics with a large dose of preventive medicine. While it provides a strong foundation for the remainder of the year, it’s quite a lot to cover in a short time. My school does a two month long rotation, which gives you breathing room to learn it, but many of you will have only four or six weeks. I was able to read 1-2 cases per night out of Case Files, with catch-up on weekends if I was too busy in clinic and too tired that evening. I did practice questions during the last four weeks, whenever I had downtime in clinic – just using the browser on my phone – and each evening I did as many as I could before my brain gave up. I did well on my COMAT/shelf exam, but strongly believe it was the combination of all four resources that worked for me. During the shelf exam there were several questions that I knew the answer because of an experience with a patient, lots of preventive medicine questions due to a scenario in Case Files or remembering recommendations from USPSTF and many, many that I knew because I’d learned through failure doing practice questions. The caveat is that the AAFP questions are intended for FM boards, not medical students, so many questions will be outside the scope of what you need to know. For COMAT’s you can use the Exam Blueprints (NBME Subject Modules) to guide what you should be learning, and remember that you do not need to know dosages of medicine or drug-trade names for exams as a student. I didn’t use these, but right now COMBANK’s COMAT qBank is the only question bank for family medicine at a medical student level, and has been out for about a year. I believe the MD-student version is Board Vitals, but I have zero information on the quality or accuracy of their questions. Bonus: How Do I Find Those AAFP Questions? Join the AAFP as a student member. It will take a few business days to get setup. Now, pick a topic and do some practice questions. I felt it was most useful to settle on one topic (ie: ‘Endocrine’) and work through all of them. Once I finished all the topics I started doing the ‘Random’ sets and it really proved what I had and had not learned. Other Great Resources to Check Out! If you have any tips on great resources to do well on the Family Medicine shelf please tell us in the comments! And don’t forget to check out Shannon’s comprehensive post on COMAT prep, here on FMStudent.com! 6/17/2016 – We created a guide to using OnlineMedEd.org’s free videos to prepare for your FM rotation and shelf. It’s a free PDF and you can get it here. UPDATE 2/25/2016: You can check out Farrah’s perspective on COMQUEST’s new COMAT qBanks, too. Blueprints family medicine is a must have. That helped me a lot. BoardVitals is decent too – I would suggest it for extra practice.